The Secret Method of becoming a music producer is simple. In fact, this method is used widely in just about every industry. The method is very relevant to anything you would like to do and achieve in life. I’ll include the secret method below. So, you want to learn the method of how to become a music producer. A music producer who is getting paid, making a living creating music, or even creating a side hustle selling rap beats. Maybe you want to get paid recording your friend’s band, want to record voiceover, or just want to sing your heart out over Adele cover instrumentals. Here’s the secret: In order to succeed in this (or any) industry, you must first ask yourself what you really want. What I mean by this is asking yourself what you really want to be doing day in, day out, in your future. Do you want the often-misleading, glamorous, expensive, famous lifestyle you see in a music video? Do you want to be extremely fulfilled creating meaningful work and providing a life for yourself and your family? Do you want to travel? Would you find excitement in setting up and mixing a live show, or do you prefer to work in a box with artist who has come into your recording studio? 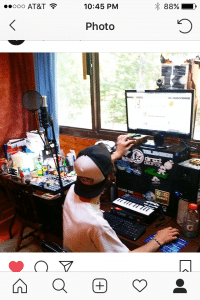 You may be asking, what does all this have to do with becoming a music producer? The answer to that is; everything! Do you want to be living in a house with three or four roomates when you are thirty years old? Do you want to move back in with your parents after you turn thirty? Do you see yourself eating filet mignon out at a fancy restaurant, cooking a delicious, affordable, nutritious meal at home, or do you see yourself eating ramen noodles and rice-a-roni for dinner? You see, all this is going to have a profound impact on how you go about becoming a music producer, or anything in your life. This secret is called “Visualization.” Pro athletes, CEOs, and leaders in every industry have used visualization to plan and dream their goals. They decided when and what they want, then created steps (or a game plan) as to how they will get there. Asking yourself these questions WILL prepare you for the reality of “What do I want, and how will I get there?” Because truthfully, there is no shortcut, no real guides, and no blueprint (necessarily) that will take you exactly where you want to go. Only you can create the outline for that path yourself. Therefore, you personally formulate this path by constantly learning about what interests you, what you would want to do in your field, and taking action steps to really branch out and get to the place you’ve chosen to go. Each path to becoming something is different, and as a result, you must think for yourself and research how to get where you want. This article is a first step in the right direction. Only through periods of personal research, getting out there, networking, polishing your craft, and learning about what you can do and where you can go will you succeed in (any) industry. Take care and good luck! Share anything you’d like below. 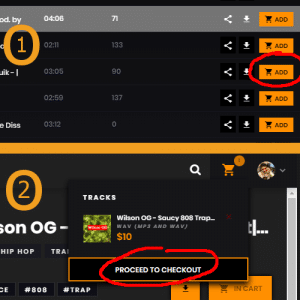 ← Previous Previous post: How To Make Beats – 3 Secrets That Produce Music Fast!